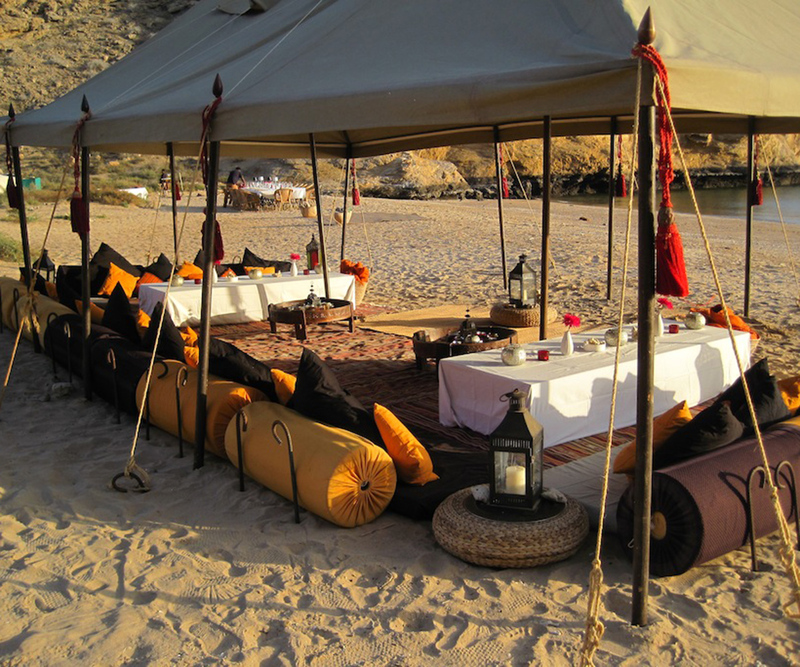 Hud Hud Travels is Oman’s leading provider of private luxury camps, expeditions and events. Our team has many years practical experience of travel and hospitality, working with the military and leading group adventures. We’re proud to bring our unique blend of top-notch service, high-level comfort and laid-back style to breathtaking locations. 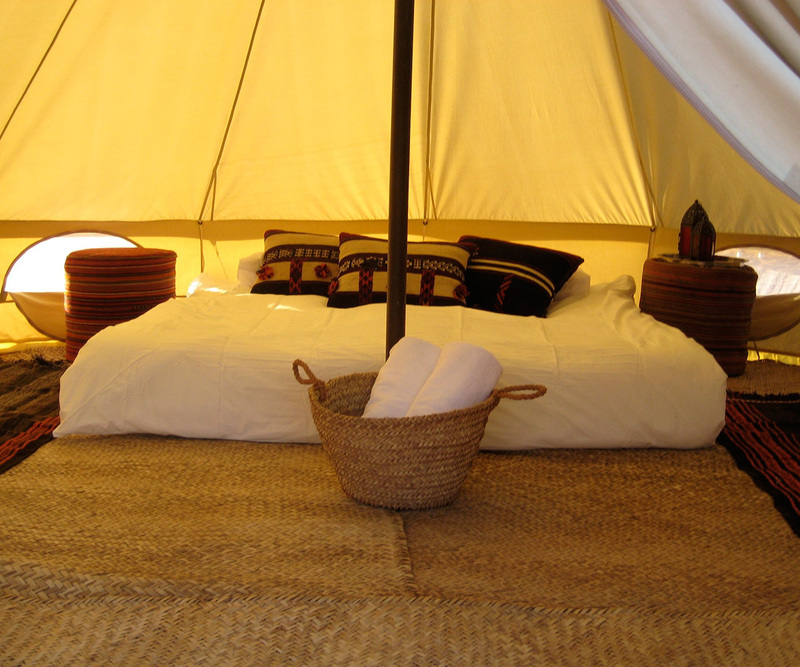 We’re committed to sustainability and ensure our tented journeys have the minimal negative impact on the environment we love. 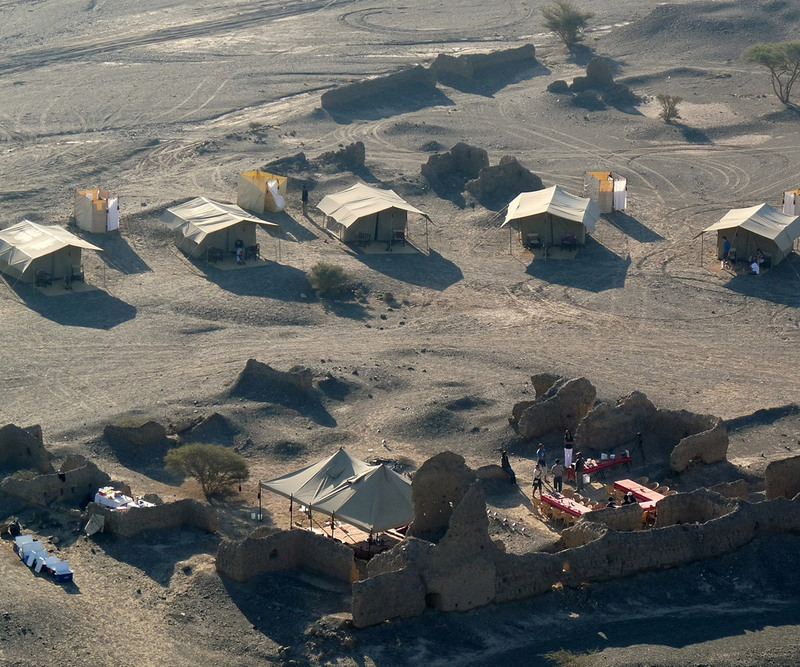 With Hud Hud you can combine a stay at one of Muscat’s vibrant hotels with a foray into Northern Oman, setting up camp in both the mountains and the desert. 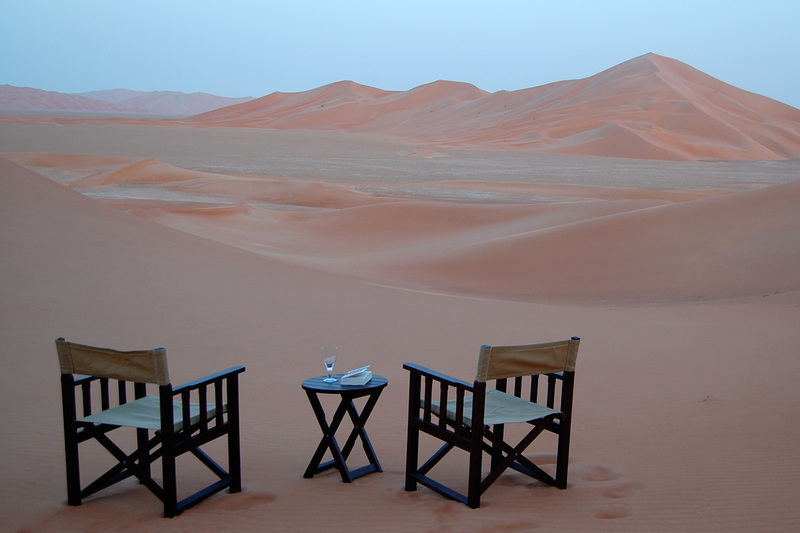 Alternatively, allow us to take you to the most remote corners with a truly bespoke experience. 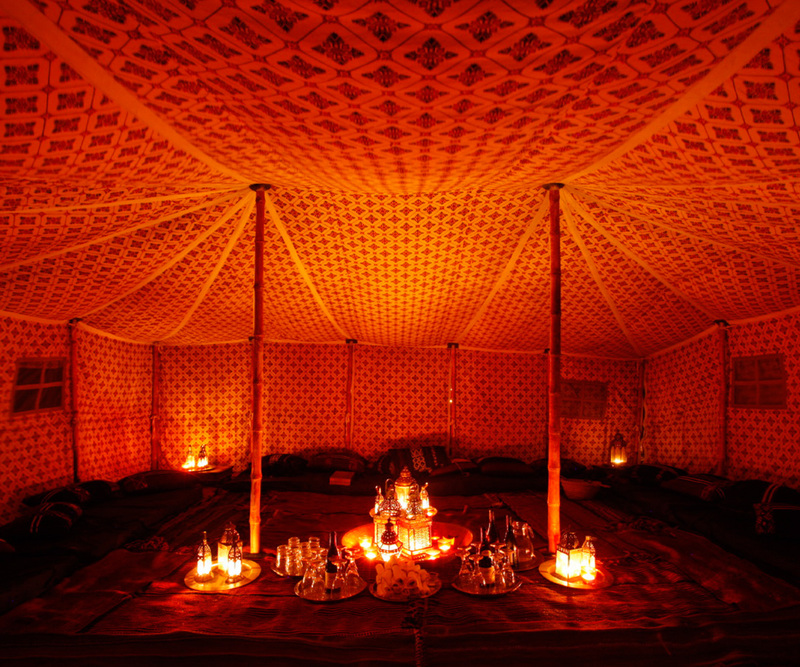 Our exclusive temporary settlements are reminiscent of a traditional, luxurious Arabian campsite. Each is created in Hud Hud’s unparalleled style, designed to meld into the natural environment and evoke the timeless ambience of the region. 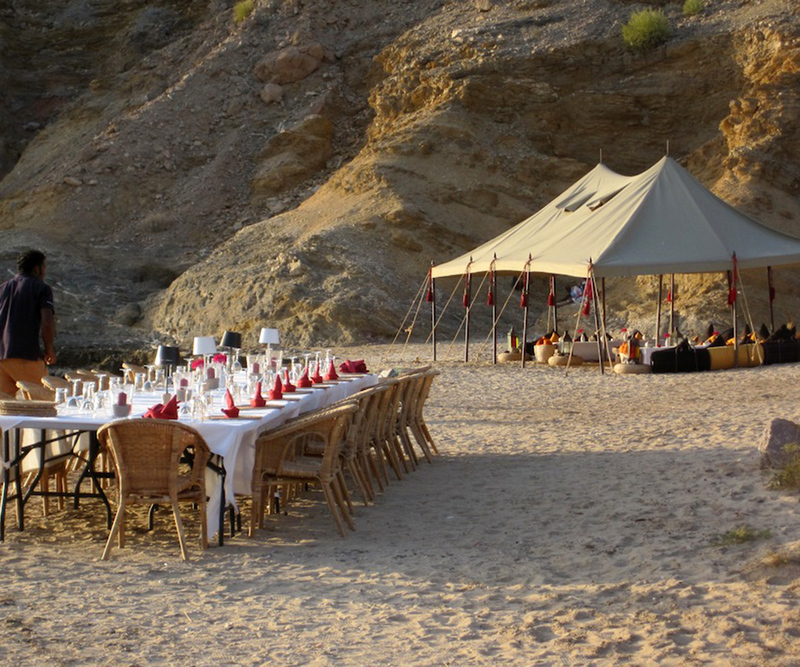 Here at Hud Hud we are expert at creating magical events in wonderful settings, from remote beaches to ruined villages. 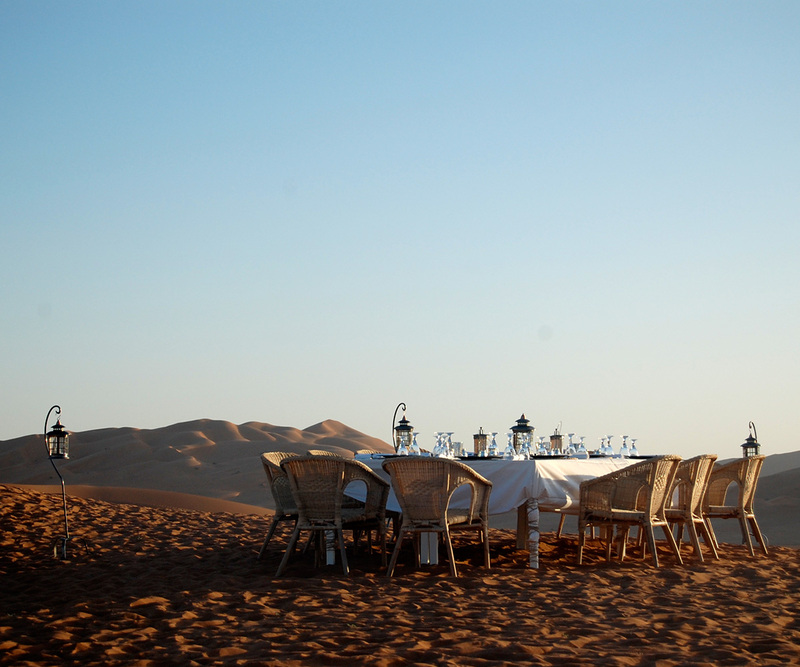 Our chefs work hard to produce delicious locally-sourced food in the wildest locations and our camps can be tailored to suit almost any occasion from a honeymoon amongst the dunes of the Empty Quarter to a vibrant birthday dinner on the beach. We can also organise daytime events such as treasure hunts, al fresco lunches and local shopping challenges! … we all more than enjoyed last week, we had an absolutely wonderful time! Your team are fantastic, they were incredibly charming and efficient. 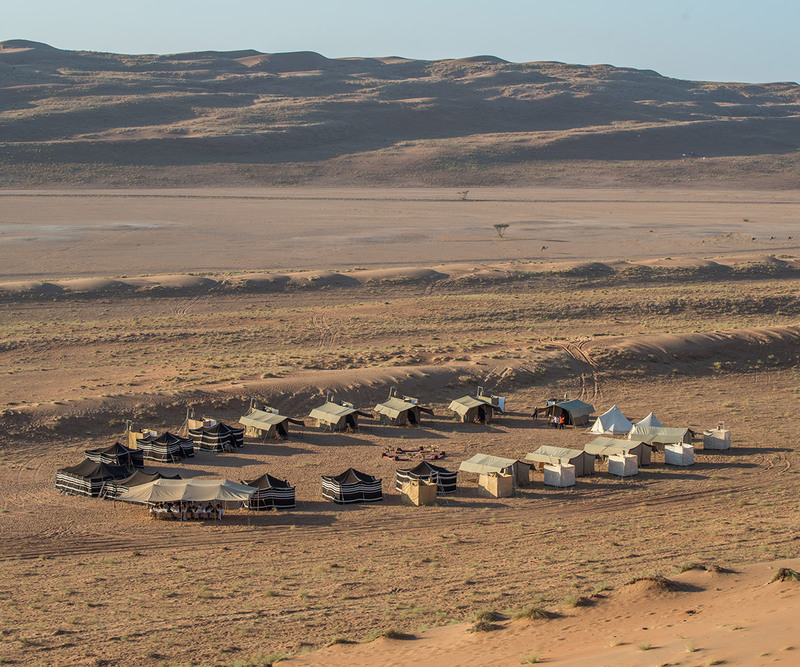 The camp sites were in perfect locations, completely private with stunning views and total peace and quiet. The meals totally surpassed all of our expectations... Abdul and Mohammed were fabulous guides. They were both incredibly knowledgeable, thoughtful and flexible; always happy to tweak the itinerary to our needs (and constant photo stops!!). We all came away saying just how lucky we were to have had them both showing us around. 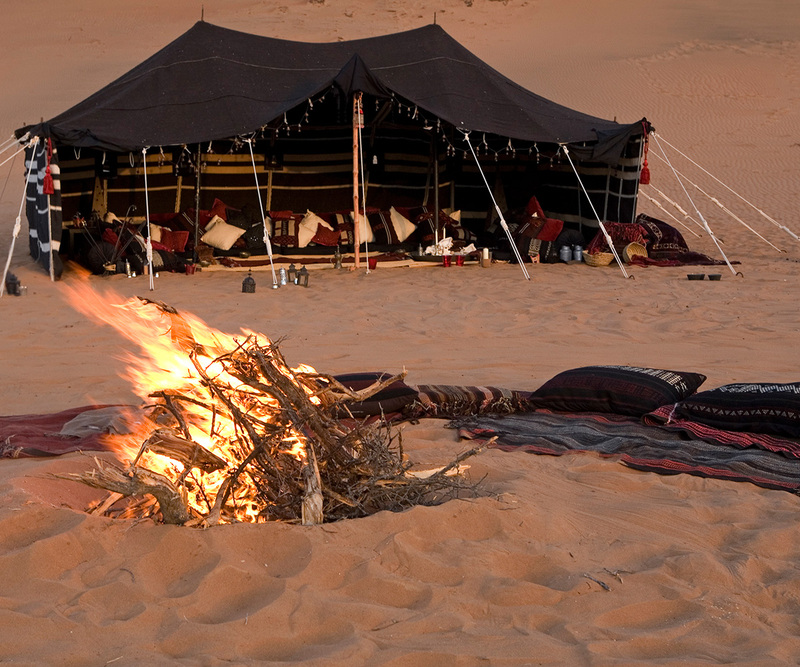 "Thanks again for a fantastic desert experience all round, we really enjoyed it and learned." 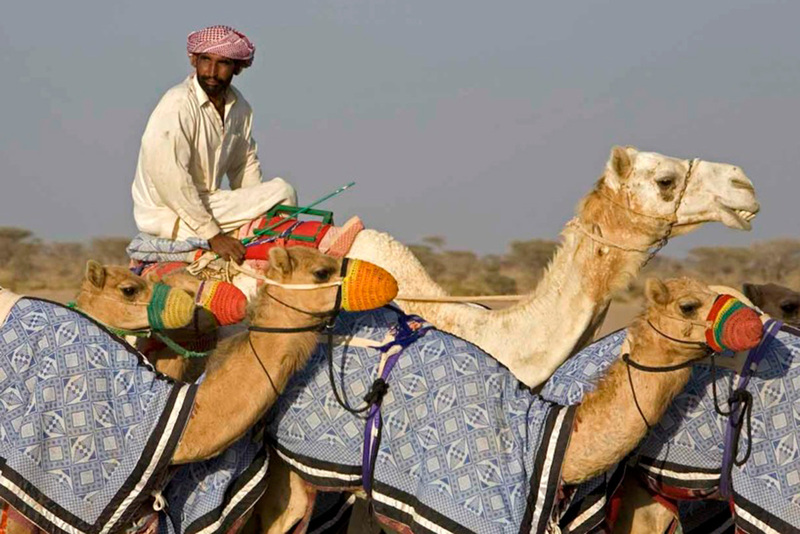 "Now back in UK with Xmas behind us and nursing fond memories of our time in Oman, and particularly our few days with you in the Empty Quarter. Our thanks to you and the team for making it such fun." "The Hud Hud Team provided an once-in-a-life-time experience to our group of multi-national executives. The ability of the organisers to deal with unforeseen events and maintain the full program without compromise on quality and content made our management meeting an exceptional experience in a truly unique environment." "Just returned to the UK and would like to thank you very much indeed for a wonderful experience in Oman. We hugely enjoyed our drive through the Wadi and the two days camping on the fantastic beach. The return journey to Muscat via the abandoned village was wonderful. It is probably my favourite photograph of the trip - us having a picnic in our directors' chairs in the deserted street." "My Hud Hud Oman adventure remains close to my heart. It was a quintessential spiritual experience. Add the classy execution of the logistics and the beautiful campsite into the mix and I must say the experience was exquisite. I share my story of this adventure to all and sundry. May others be privileged to enjoy time with you and may abundance rain down on Hud Hud." "Thank you so much for a really fabulous three days that we spent with you. Probably our best ever time on holiday!!!!" "I just wanted to send a quick note to thank you for the fabulous, if foreshortened trip to the desert. It was truly memorable and neither of us can believe how much we took in in so short a time. We got a real sense of Arabia, continued in our short stay at the Chedi - and we would both love to come back - which is a first with so many destinations around the world." 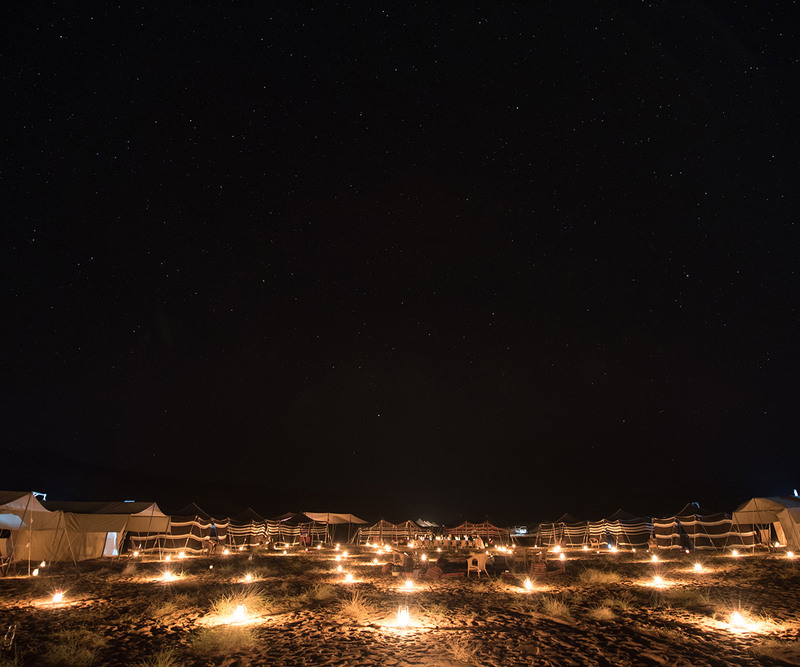 "Nights are spent under a mass of stars in luxury camps that give you the sense of having stumbled upon a colonial-era expedition." 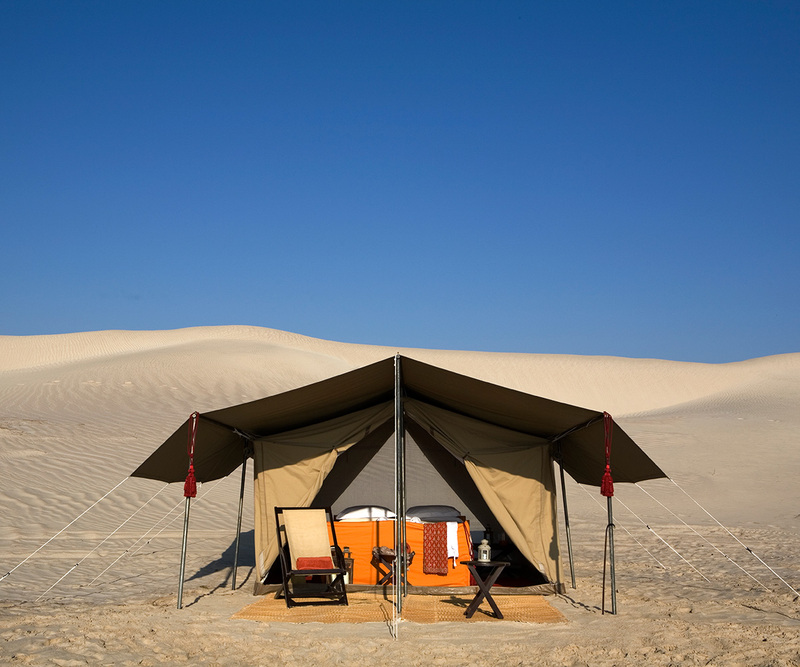 "My selection of the best campsites worldwide... It’s a fairytale Safari." 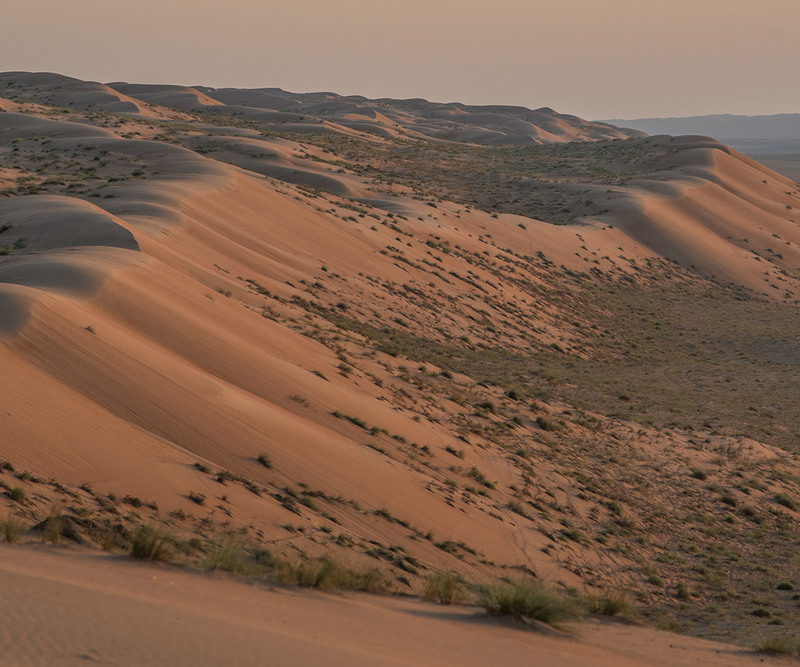 "With Hud Hud’s perfectly calibrated expeditions, one is seduced by the desert’s romance, but equally one begins to understand the reality of the Empty Quarter’s name." "At night, I slept in a spacious tent decked out with linen sheets, listening as the waves of the Arabian Sea broke on the beach and studied the Milky Way with a space-age telescope. And throughout this unadulterated adventure, how many tourists have I come across? Precisely zero." "Oman, the coolest customer in the Middle East - this is the way to do it." "The world we explored every day was hard, barren and alien, the world we encountered at night couldn’t have been warmer or more welcoming. After each day of intense exploration, we’d go back knowing that not only was there an iced drink waiting for us on a beach or on the side of a dune, but a warm shower under the stars, a simple dinner served by gentle smiling Omani men around a candlelit table and a soft bed, with fresh white sheets, to collapse into. And best of all to go to sleep to: the sound of silence." "For many people these days luxury isn’t about gold taps or Rolls-Royce transfers, it’s about escaping from others." 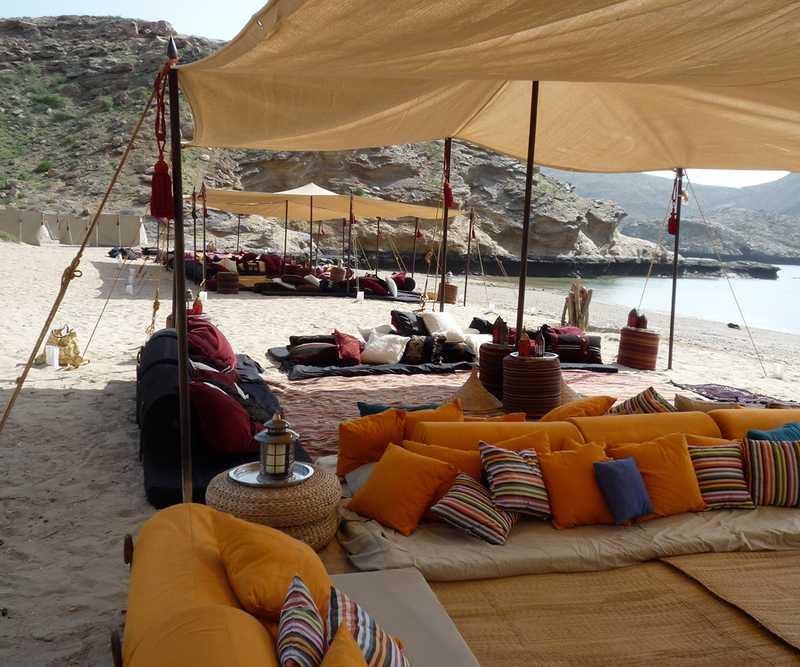 "Our first campsite looks like a film set from Lawrence of Arabia: three black-and-white-striped goat-hair tents (bespoke from Aleppo, Syria) and a majilis, or sitting room, decorated with coffeepots, cushions, Indian silks, and fine wool blankets from Dhofar. 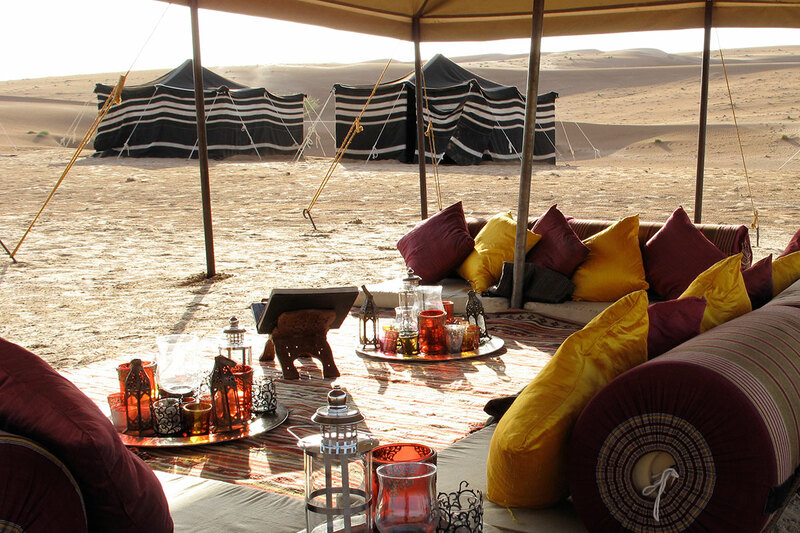 The magic of the place lies in arriving at the perfect hour, when the setting sun turns the dunes pink and russet, light fills the west-facing tents, and Sean’s staff bring cool drinks-with ice cubes." Suffice to say that these clients had the most incredible holiday and absolutely loved their time with HudHud - they ran out of superlatives really - it truly was the highlight and a great way to finish their holiday. They thought the set up was incredibly smooth and slick and the team wonderful so thank you very much for everything you and they did to ensure they had such a great trip! In short it was one of our best trips ever! We all loved the different experiences that the journey offered, the super friendly people, the beautiful country and the food. We have seen and experienced a lot of Oman which was what we wanted. 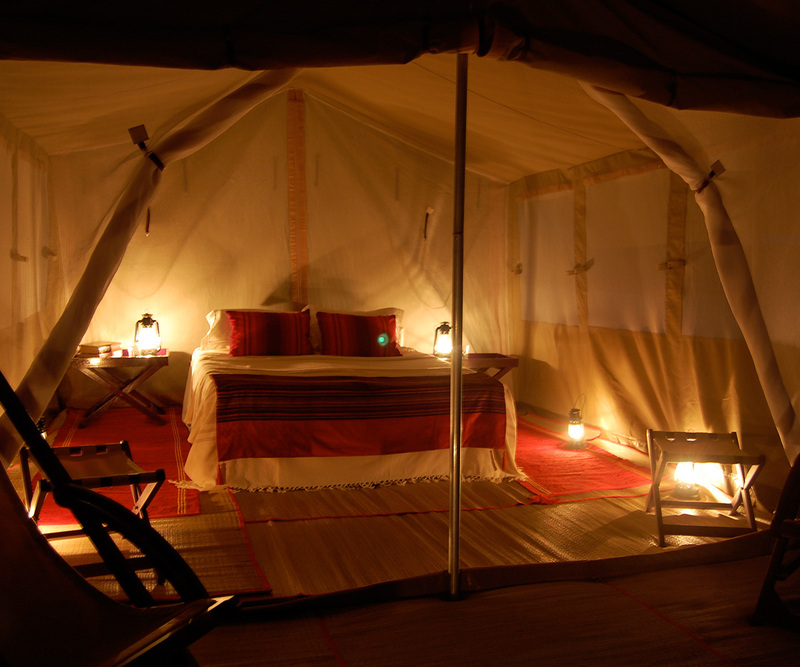 The desert/tent was the highlight – I definitely want to do more. The staff was very friendly, competent and helpful and gave us enough privacy at the same time. 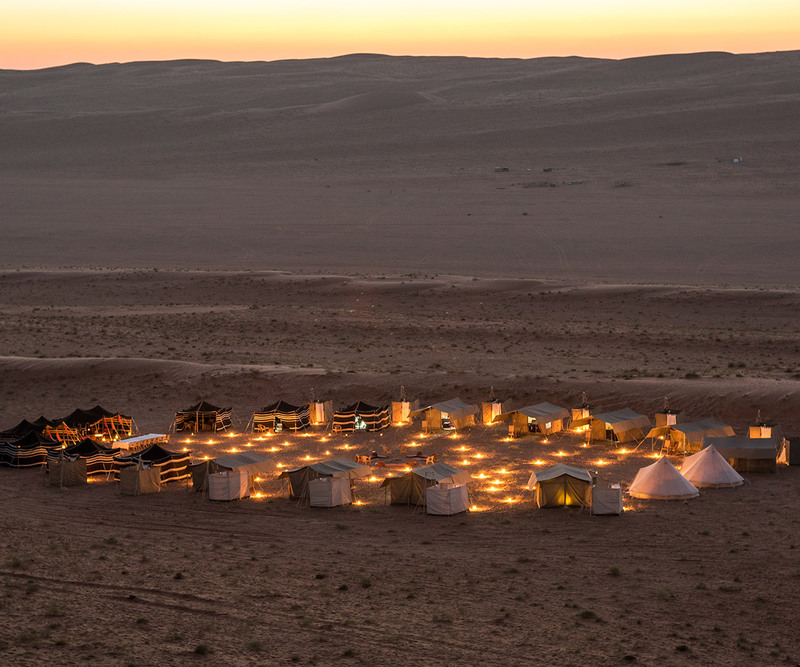 All well organized, the warm showers, the sunset drinks, the daily excursions, the lunches out in the nature and the amazing dinners/breakfasts in the Bedouin tents. We had an absolutely fantastic trip in Oman. We loved everything and wouldn't change a thing. Oman is an incredible country and we were lucky to have Abdul and Masud to guide us. They were both fantastic. All the food was great and we loved the accommodation. Wouldn't change a thing. Thank you for your excellent suggestions and for arranging everything so perfectly for us. May I take this opportunity to thank you and your team for a wonderful holiday. Every day was a carefully chosen different experience. I was bowled over by the hospitality from total strangers. The care and attention to every detail by you and your team was amazing. Time flies, our trip seems so far away now! Back in cold London! 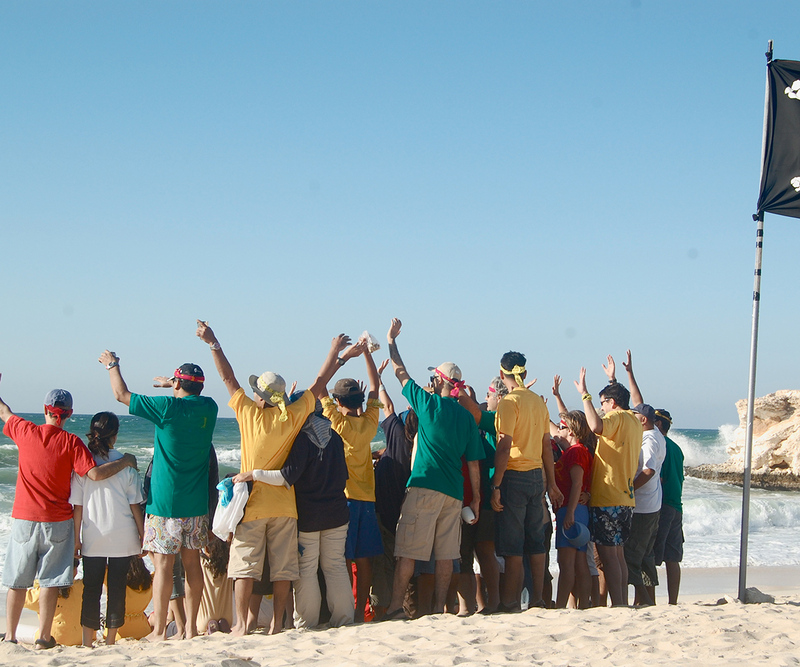 Both camps were amazing: the setting, the food, the organization, it was a dream. Mr H. called me yesterday, they really enjoyed their excursion in Wahiba Sands. He said that the organization was excellent, all the services were perfect. 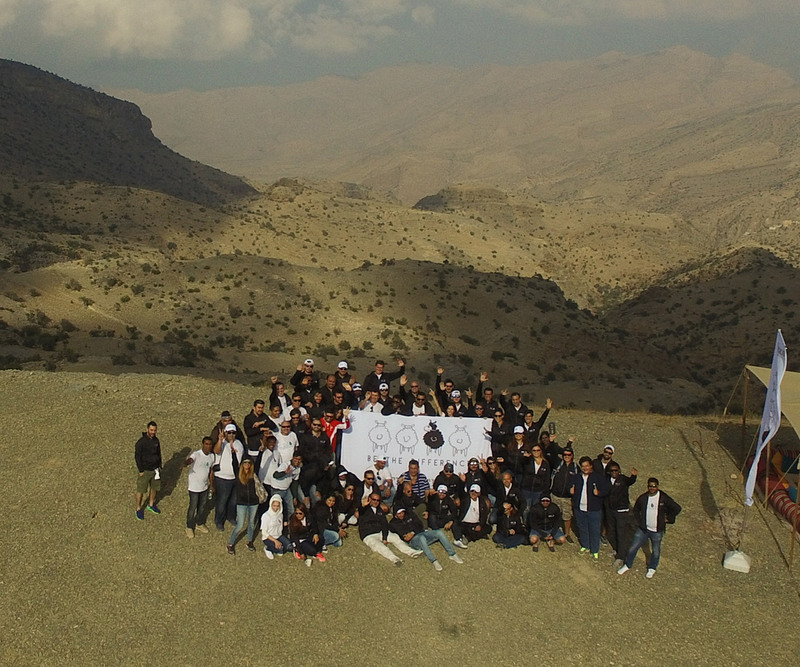 We can't thank you enough for the life-changing experience you presented us with during our trip to Oman. Hud Hud truly has set the bar really high when it comes to unique -yet luxurious - hospitality. Even under the harshest conditions (the unfamiliar desert), you and your crew made us feel comfortable, at ease, relaxed, privileged and truly blessed. 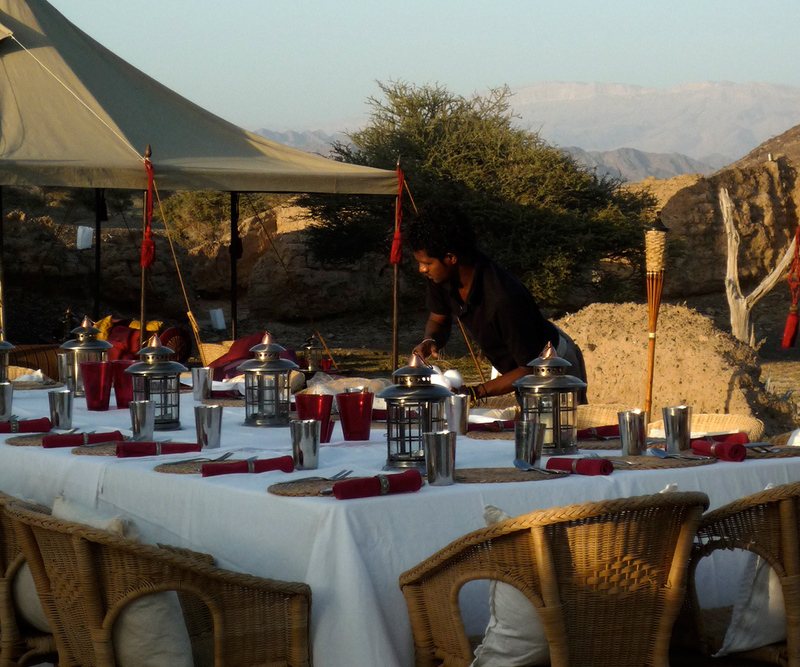 The food was fantastic, the tents were cozy, the sky was unforgettable and every single member of your crew was cultured, travelled, helpful, kind and utterly prepared. Khalfan was a delightful guide, knowledgeable and thoughtful, accommodating and considerate, all the things a good guide should be. And the team at the camp made our stay in the desert one we’ll always remember with great pleasure - Sebastian and Casey the perfect hosts making us immediately at home, and Roy’s fabulous food set before us by John with a cheerful Sri Lankan smile - they gave Nancy and myself a wonderful experience, a magical way to experience the desert. So, very many thanks to your team for all the hard work that must go on in the background to piece together such a fabulous experience. We had a memorable, terrific adventure with your team. Rashid is our Omani brother....gentle, expansive with comment when called upon, unobtrusive when appropriate (swimming at the sink hole)... a delight to spend time with. Jo and her team were absolute delights and could not have been more accommodating. The food was really excellent. … would definitely use Hud Hud again and give you a glowing reference. And happy to recommend your team to others. We had a fantastic trip and both Chedi and Hud Hud were amazing. We loved Oman. I would like to thank you all very much, for organising such a fantastic and highly enjoyable event for our Family Fun Day. You went to great lengths to create the team building exercises and ran the day seamlessly. I have had excellent feedback from the members and their families, so well done to all.